Nissan is a very future-forward company. A significant part of their corporate vision is the betterment of both the people and the planet. Lately, they’ve been busy with both. Nissan understands that today’s young people are the employee base of the future. Investing in youth educational programs is one of the best ways of improving everyone’s lives in the years to come. So, Nissan in collaboration with the League of United Latin American Citizens (LULAC) has contributed $180,000 to LULAC’s National Educational Service Centers (LNESC). This set of programs enables Latino students to “choose paths which lead to careers in science, technology, engineering and math (STEM)”. A part of Nissan’s financial contribution is put towards scholarships for young people with ability but not the means to study. Nissan believes that giving back to the community keeps their company strong. For example, by supporting the top-notch students of today, Nissan will be making sure there is an available pool of scientists, engineers, and designers to help Nissan continue to manufacture innovative vehicles using cutting-edge technology. Creating zero-emissions vehicles is a great achievement. Yet, what about the CO2 emissions generated during the manufacturing process involved in producing those vehicles? According to LEAF Chief Vehicle Engineer Hidetoshi Kadota, Nissan feels that “if too much CO2 is emitted during the vehicle’s production, we cannot call it a sustainable car”. As a result, Nissan has developed a program which uses recycled materials in the manufacture of LEAFs. At the moment, this amounts to about 25% of the steel, copper, aluminum, plastics, etc. which make up a LEAF. Nissan reassures that there is no need to worry about quality control. Chief Vehicle Engineer Kadota explains that Nissan “ensures the parts made from recycled materials are of the same quality as parts made from new materials”. For Nissan, this is just the beginning. 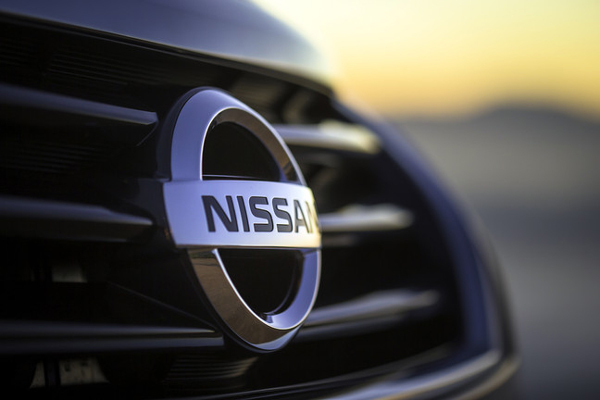 The company vision includes a consortium of companies, Nissan Motor Corporation included, which supports a recycling system. Nissan feels that working on a larger scale will enable such a system to be cost-effective and succeed, contributing to a “recycling society”. What do you think about Nissan’s global efforts? Share your thoughts with us below or on Facebook and Twitter! This entry was posted in Nissan LEAF, Nissan News and tagged LULAC, Nissan, Nissan future, Nissan LEAF, Nissan vision by Tischer Acura Nissan. Bookmark the permalink.